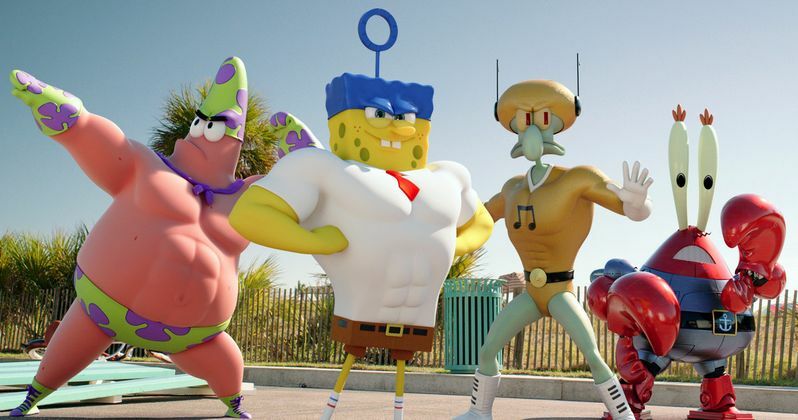 SpongeBob SquarePants is heading into the real world in The Spongebob Movie: Sponge Out of Water, a CG/Live Action adventure that sets SpongeBob, Patrick, Squidward and Mr. Krabs up as superheroes. Paramount brought this new animated feature to Comic-Con as part of their Hall H presentation, where they wowed fans with the first footage. Also on hand was star of the movie Tom Kenny, who has long served as the voice for the title character. Check out The Spongebob Movie: Sponge Out of Water panel video and an interview with the comedian as Comic-Con continues to roll throughout the weekend.